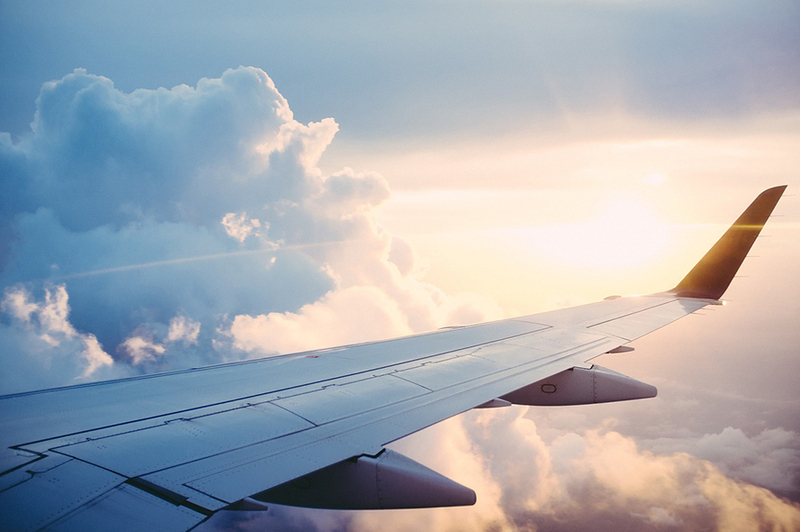 Want to overcome your fear of flying so that you can travel in peace? I have helped people overcome this fear with Modern Energy Tapping (formerly known as Energy EFT). Modern Energy Tapping helps you to improve energy flow and release blocks in your life including fears and phobias. “I’ve spent years terrified of flying and putting off putting myself in positions where I’d be confronted by that fear. I recently had a session of EFT with Susan before a flight and was AMAZED by the difference it made to my approach to the flight as well as the flight itself. I utilised techniques taught to me by Susan on the way to the airport and felt calm and even excited during takeoff – absolutely unheard of previously! I’m so grateful and couldn’t recommend her services enough to anyone in a similar position. Thank you Susan!” – Susie Harper. Got a question? Click here to contact me on Facebook Messenger. The energy tapping process works to improve the free flow of our natural life force energy by gently tapping or holding energy meridian endpoints. This has an effect of calming and energising us, and we can see things more clearly and release fears. Below you can see me demonstrating a traditional tapping approach aimed at the fear of flying. Test it out and see what you think! Please note that, as with all my videos, by tapping along you agree to take full responsibility for your own wellbeing. Enjoy tapping along with me in the video. “Susan Browne is a dedicated, giving and powerful person and a highly effective and experienced EFT teacher. I thoroughly recommend her work.” – Diana Cooper – Bestselling International Spiritual Author. I see clients both online and in person in North Kerry, Ireland. I recommend the 90-minute session option for one-off sessions or first-time sessions. 90 Minute sessions cost €120. If you require follow up session(s), you can choose 90 or 60-minute sessions – 60-minute sessions cost €80. There is no obligation to book a certain number of sessions, but if you pre-book a 60 and 90-minute session together there is a discount (see PayPal options below). Typically much fewer sessions are required in Modern Energy Tapping than traditional psychotherapeutic approaches. Often clients have reported groundbreaking results after just one session. I am a qualified Guild of Energists Modern Energy Tapping Trainer and Master Practitioner. I see clients for Modern Energy Tapping appointments internationally via Zoom and phone, and face to face. Helping people to feel good in their energy, and overcoming limiting beliefs so that they can really flourish is my passion. My time zone is GMT, and my online appointments are generally weekday mornings but it’s sometimes possible to work outside of these times. Get in touch if you want to inquire about the availability of different times. *Modern Energy Tapping is considered completely safe without any side effects. However, if you have any concerns as to the suitability of this approach for you, please discuss this with your healthcare provider first. **It is unethical to promise a cure for any symptoms with Modern Energy Tapping or EFT. Everybody’s experience of the approach is different, depending on many factors that are unmeasurable. In no way are the contents of this page designed to imply a promise of a cure, nor does Susan Browne promise anyone such. If you purchase a session with Susan Browne and believe during or at the end of the session that it has not helped in any way you should express this at the time and request a refund. Ready to book your session? Click here to get in touch, or use the PayPal button above to pay in advance for online sessions.